Happy Saturday. I know most of you reading this are families of Class of 2020 Basic Cadets and your interest is more narrowly focused on finding your Basic, but I thought today would be a good day to show you a little of the future. Last year at this time the Class of 2019 was in BCT and I'm sure they thought it would never end. But, here they are as rising 3° Cadets (Sophomores) doing things they never even dreamed about last year. 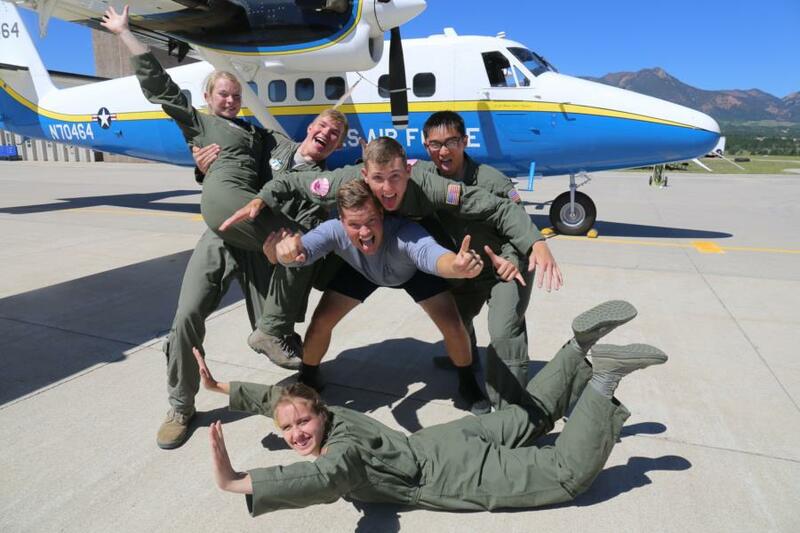 The cadets in the photo below just completed their 5th solo free fall parachute jump and received their jump wings. This is what your Basics will be doing next summer, so when you hear from them, remind them that this 5 1/2 weeks of their lives is so minute compared to the rest of their career. I know some of you were hoping for Gymnastics and Fencing today. In looking through the photos, I don't think we found them, but never fear we will. There is still a long way to go. Tomorrow is Summary Sunday, so there will be content including videos from the past week. Cobras, Guts, & Hellcats will also be visiting our building in the morning and afternoon to learn about their Air Force heritage. That is going to be another great photo opportunity for us, since the entire squadron will be here at one time. Since we will be shooting, the photos will likely not be all up until Monday, but we'll do our best to get them processed if we can. Ok. That's it for now. Enjoy the weekend!